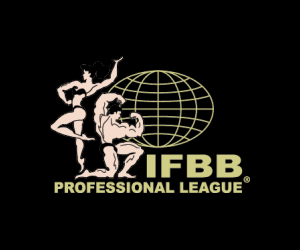 Three first-time winners were crowed in New Orleans at the IFBB Greater Gulf States Bikini and Physique Championships on Saturday night, with two out of the three winning in surprising fashion. Collin Humphrey, Brittany Tacy and Tamee Marie all won their respective divisions. After finishing second to Mark Anthony in three consecutive contests over the course five weeks in April and May, Collin Humphrey seemed well overdue for a win in the Men’s Physique division. He finally got that W by earning straight firsts on the judges’ scorecards on Saturday, displaying the same form that saw him push Anthony over his first three contests of the year. 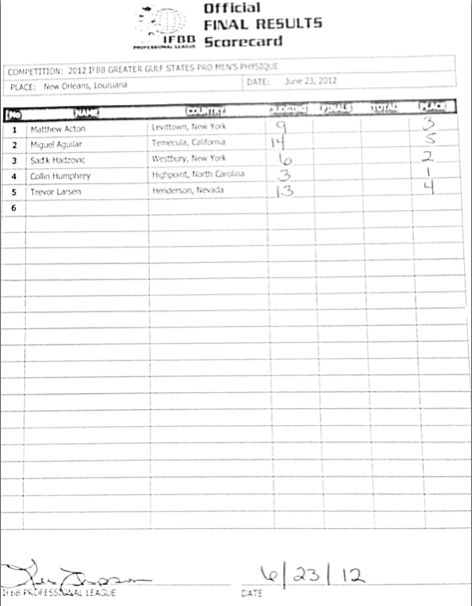 Sadik Hadzovic, one week removed from earning his pro card at the Junior Nationals, finished second in his pro debut. Hadzovic won his class and the Overall in Chicago last week. Matt Acton placed third. 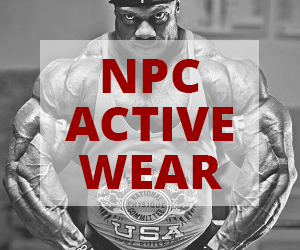 Go here to see all of the Men’s Physique photos! Entering the Greater Gulf States, four competitors had accumulated points in the Olympia Qualification Series Standings, including points leader Jennifer Chapman and two other competitors who ranked in the top five in Narmin Assria and Justine Munro. But when the dust settled on Saturday, it was Brittany Tacy – a second-year competitor who was nowhere to be found on that list – who came out with the win and a qualification to the Bikini Olympia. Tacy, who won her pro card at last year’s NPC USAs, competed twice as a pro in 2011, placing 6th at the Ft. Lauderdale Cup and 7th at the Bikini Pro World Championships in December. 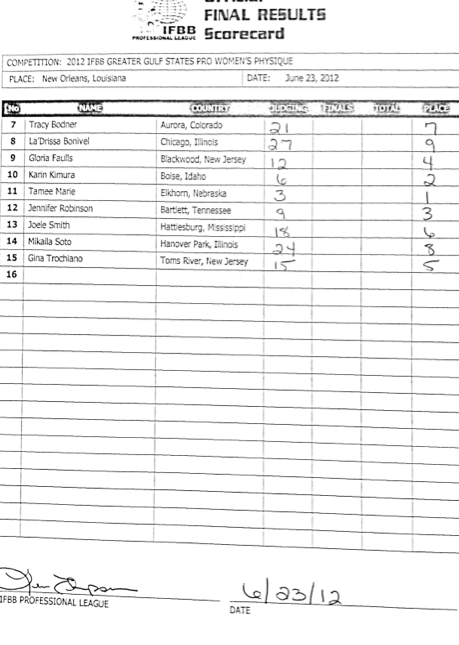 Respectable placings for competitor who had just won her pro card, but neither outing gave any indication that she was ready to win the first pro contest of her young career in New Orleans. That’s exactly what she did though by earning straight firsts on the scorecards and leaving little doubt in the minds of the judges after Friday night’s prejudging. Justine Munro placed second while Stacey Alexander, who won the NPC Greater Gulf States Overall title here a year ago, finished third. Go here to see all of the Bikini photos! Another competitor who seemingly came out of nowhere to notch her first win as a pro, Tamee Marie made the switch to the Women’s Physique Division after a less-than stellar first year as a professional figure competitor. 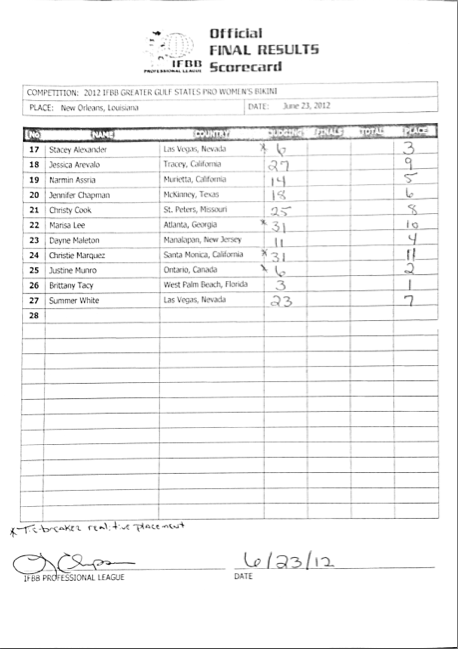 In four IFBB contests last year, Marie’s highest finish was when she placed 13th at the Houston Pro. The Greater Gulf States was her first in the Women’s Physique division, and her victory came against a competitor who already had a WPD win under her belt in Karin Kimura. Kimura, who won the Governor’s Cup in March, placed second while Jennifer Robinson finished third. Go here to see all of the Women’s Physique photos!